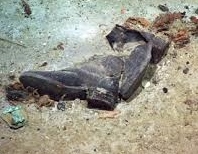 Titanic shoes survive 104 years underwater. Or have they? At the very least, this boot staved off disintegration for 73 years. Titanic sank in 1912. Her wreck was discovered seventy-three years later in 1985. Has this boot been left undisturbed for another 31 years? Or was it one of the selectively harvested items from the thousands of human belongings scattered over a debris field of fifteen square miles? Undisturbed personal items found in-situ (where they came to rest) are the most poignant: the porcelain face of a child’s doll, a leather carryall, and a pair of wire-framed spectacles. Many shoes lie scattered on the seabed – touching reminders of their owners who perished and came to rest at the bottom of the Atlantic. The ‘Maritime Museum’ in Halifax, Nova Scotia displays a pair of baby shoes that were recovered from an unknown child in April, 1912. 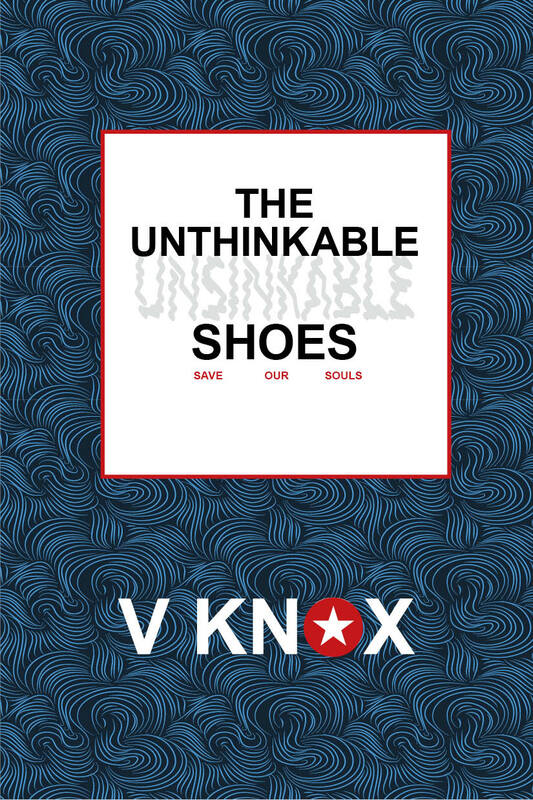 ‘THE UNTHINKABLE SHOES’ by V. KNOX – a boy loses his shoes between heaven and the deep blue sea. Finn Cleary had tough shoes to fill, trying to compete with his older brother. But as a ghost child from the Titanic he has a tougher quest. He must recover the only new pair of shoes he’s ever owned. Finn searches for his lost shoes in order to placate his mother after taking two of her strict orders to heart: to never break a promise and to look after his shoes or she’ll skin him alive. But there are obstacles in his way and people to overcome when he chooses to keep a promise made in haste. 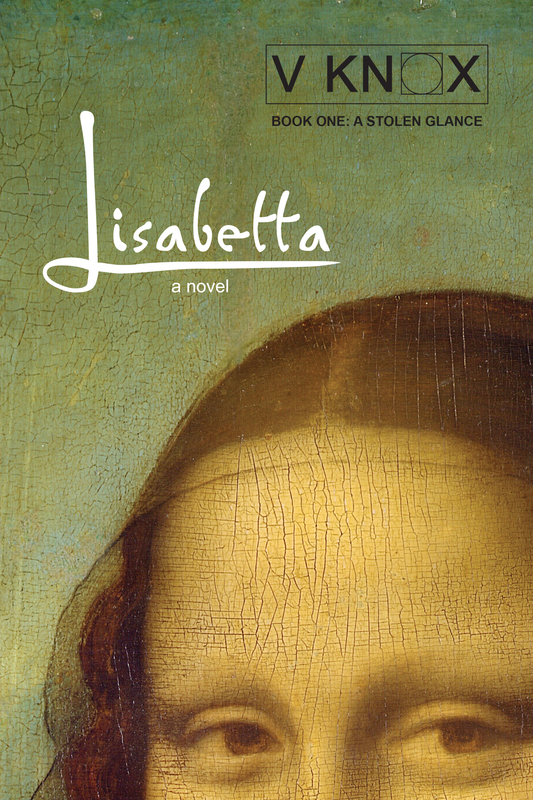 This entry was posted in Books, fantasy, Historical Fantasy, Historical Fiction, literary fiction, magical realism, Nova Scotia, REINCARNATION, romance, supernatural, THE UNTHINKABLE SHOES -novel, Titanic, Titanic's lost shoes, V Knox and tagged 'The UNTHINKABLE SHOES' the novel, art history, ghosts, literary fiction, love story, magical realism, reincarnation, Silent K Publishing, Titanic, Titanic's lost shoes, V. Knox author, Veronica Knox author. Bookmark the permalink.